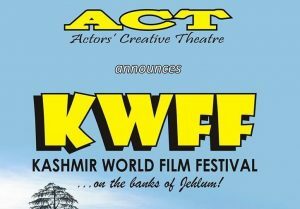 Srinagar (PTI): The Kashmir World Film Festival (KWWF) is returning to the valley for its second edition, which begins tomorrow. The five-day festival is being organised by Actos Creative Theatre (ACT). “The motive of organising the festival is to restore the film culture in the valley,” KWWF director Mushtaaque Ali Ahmad Khan told reporters here. The first edition of the festival, that was held from July 1 to July 5 earlier this year, witnessed an overwhelming response from the audience, Khan said. “It seems that the habit of watching films in the valley has been lost. We have taken the initiative to set things back on track,” Khan said. The festival will also screen feature films, feature length documentary films, short fiction films, short documentary films, animation and experimental films. “There will be different sections of films as well that include international competition, national competition, student/amateur competition and special screenings,” Khan said. “Citizen Kane”, “12 Angry Men”, “Bicycle Thieves”, “Life is Beautiful” (both Italian), “The Queen of Silence” (Polish) and “Seven Samurai” (Japanese) are among the international films to be screened, he said. The other entries are “Children of Heaven”, “Where are My Shoes” (both Persian), and Hindi movies such as “Andaaz” and “Pyaasa”. “Reet” (Dogri), “Lzadol” (Ladakhi) and “Maezi Raat” (Kashmiri) will add the local flavour. Khan said there will be a workshop for media students and film lovers who want to know about the technical and aesthetic aspects of the cinema and film making. “We have chosen the topic of ‘Introduction to Cinema’ where many Bollywood filmmakers will be interacting with audience and will be seeking the feedback as well,” he added.